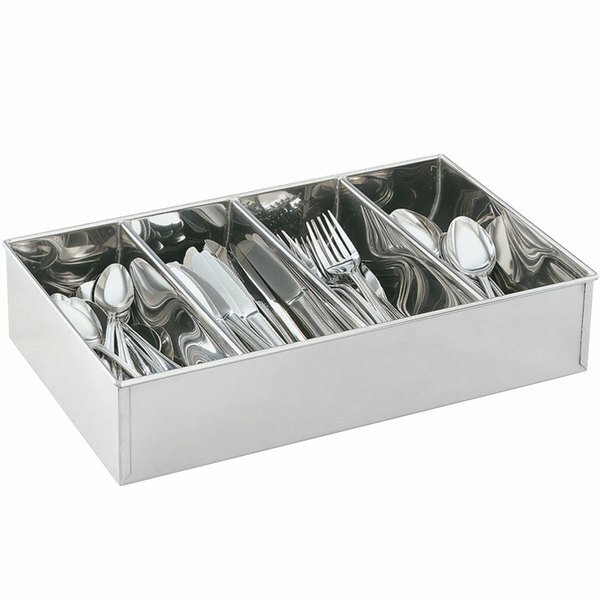 This Vollrath 99700 heavy duty 4-compartment stainless steel cutlery box keeps all of your flatware neatly organized while its polished stainless steel look adds a classy feel to any decor! Each compartment is rounded, making it easy to grab what you need during a busy dinner hour or catered event, and the 4" wide compartments give you plenty of room to store all the cutlery you need. You can also check out some of our bus tubs and bus boxes to create the perfect system for getting your flatware through the cycle of washing and use.